The latest album from 90s star and cancer survivor Wade Hayes shows he is still in possession of a great traditional country voice. He and co-producer Dave McAfee have found some excellent songs. Springer also wrote (with Tim Menzies) ‘I Don’t Understand’, an entertaining Western Swing number about the complexity of love which was previously recorded by Springer’s own band, the Roger Springer Band. Jon Randall, Jessi Alexander and Phillip White wrote ‘What You Need From Me’, a beautiful duet with Megan Mullins about friendship and unrequited love, which was previously cut by Shelley Skidmore and Greg Bates. ‘Needed The Rain’ is a strong Chris Stapleton song. The album closes with a tastefully stripped down and sincerely delivered version of the hymn ‘In Christ Alone’. This is an excellent album, and I strongly recommend it. When a successful actor turns his hand to music, the result is often met with accusations of vanity projects. But I thought John Corbett’s first album, back in 2006, was a good record on its own merits, with the actor showing off a smoky voice with an interesting tone and although he doesn’t write he clearly has a good ear for material. His latest effort is also worthwhile. The album is produced by Gary Paczosa with Corbett’s friend Jon Randall Stewart, who wrote the best song on Corbett’s first project (‘Cash’) and also contributed most of the songs on this one – and that level of quality material helps make the album stand out. Corbett’s smoky voice is fairly distinctive, backed up by the harmonies of Randall, Sarah Buxton, Jessi Alexander and John Cowan, while the overall sound is contemporary but not over-produced. The track is given a Western style production and allows Corbett to show off the lower extent of his vocal range, and is a real highlight. ‘Steal Your Heart’ is a likeable breezy declaration of love which opens the album to confident effect, written by Randall with Gary Nicholson and Paul Overstreet. A line from the song lends the album its title. ‘Name On A Stone’ was written with Bill Anderson, and relates a father’s funeral with no mourners beyond family, prompting the protagonist to decide he must leave something of substance behind when his own time comes. The upbeat ‘Backside Of A Backslide’ was written with Randall’s wife Jessi Alexander and Chris Stapleton, about a husband begging his wife to let him back yet again. Its irrepressible optimism has a lot of charm, and I wouldn’t bet against it succeeding. Jon Randall’s songs are rounded out by a few obscure but interesting covers; the Bellamy Brothers’ ‘Rainy, Windy, Sunshine’ (a rodeo rider’s letter from the road to a lover) is pretty good with a relaxed vocal. ‘Satin Sheets’ is not the Jeanne Pruett hit but a sardonic Southern rocker about the celebrity lifestyle written by Willis Alan Ramsey which Waylon Jennings recorded in the 70s; it’s probably my least favorite track here but performed with enthusiasm. The only new outside song without Jon Randall’s hand is also good. ‘Tennessee Will’, written by Pat McLaughlin and Adam Hood, which has a relaxed feel, rootsy arrangement and atmospheric southern mood. If Corbett was serious about pursuing a country music career, this is radio-friendly enough for commercial success. As a labor of love, it is a highly enjoyable record, and as a bonus, it is an effective showcase for the songs of one of Nashville’s finest songwriters. 2003’s On Your Way Home marked Patty Loveless’ return to mainstream country, following her critically acclaimed bluegrass album Mountain Soul. She and producer Emory Gordy, Jr. revisited the formula that had worked so well for them in the nineties, combining traditional country with the best contemporary songs they could find, drawing upon writers such as Paul Kennerley, Marty Stuart, Rodney Crowell, Ronnie Samoset, Matraca Berg and Jim Lauderdale. Things got off to a strong start with the lead single, a cover of Rodney Crowell’s “Lovin’ All Night”. Her three previous singles had failed to chart, but radio initially seemed happy to have Patty back in the mainstream and added “Lovin’ All Night” to their playlists. Patty sounds more energized on this track than she had in a long time, and her version easily trumps Crowell’s own recording. Though it was her strongest showing on the charts in years, “Lovin’ All Night” stalled at #18, which seemed to indicate that Loveless was past her commercial peak. The second single was the beautiful title track, written by Ronnie Samoset and Matraca Berg. Had it been released about a decade earlier, it would have been a huge hit. That it only climbed to #29 on the charts is nothing short of criminal. 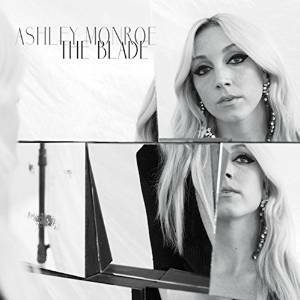 Similar in style to Loveless’ earlier hits “Here I Am” and “You Don’t Even Know Who I Am”, “On Your Way Home” manages to sound contemporary yet country, without being overproduced or drowning in pop overtones. Its failure to gain traction at country radio can be partially attributed to the format’s increasing tendency to embrace fluff and reject substantive songs. It might have gotten a warmer reception if it had been released by a younger artist, but it is hard to imagine any other vocalist who could have sung this song with the passion and emotion that Loveless does. Epic released one more single from this set — “I Wanna Believe”, written by Al Anderson, Gary Nicholson, and Jessi Alexander. Peaking at #60, this was the last time Patty Loveless appeared on the Billboard country singles chart as a solo artist. I probably would have released the more radio-friendly Jim Lauderdale, Buddy Miller and Julie Miller composition “Looking For A Heartache Like You” instead of this one, though it likely would not have fared any better on the charts. “I Don’t Wanna Be That Strong” is the most contemporary song on the album and seems like another good candidate for a single release, but in all likelihood, Epic was unwilling to invest any more money promoting this album, given the lukewarm reception the previous singles had received.